How to unlock password or how to unlock pattern in android. Have your ever lost the data in your Android device? Losing data is the toughest one which we cant face and need to be avoided. Have you not able to recover the data even with the password recovery tool. These are some of the things which i have noticed from many people who are using mainly Android kitkat phones. When you forgot the pattern lock, or when you want to know about how to unlock a locked phone, the description of that smartphone is ultimately required. So this article gives the detailed description about how to unlock pattern lock or password without losing data on the android mobile. Mainly android kitkat and windows have these types of problems, because some apps makes the mobile speed high and tends the mobile to get hanged, when the device is hanged the password we enter does not saves in the phone memory and shows it as wrong password, in that case the device should definitely be rooted. If we root the device all the data gets lost. So for them who wants to unlock their device without data loss we are providing the steps on how to unlock a device. Dont factory reset your device when you have this type of problem, i have checked my device by doing this how to unlock pattern lock and then am writing this post. I found this in the youtube and followed the steps. Now the thing you have to do is simple follow the step by step process for Android pattern unlock or Android password unlock. This article will be helpful to the users who are checking to unlock a device for free. Now a days unlocking a device is simple but the cost to it is really on high peaks, to get rid from all those we are providing the trick to unlock a mobile without losing its data. This is applicable for all the smartphones when you have forgot pattern lock, in this there is no way to lose the mobile data or memory card data. Before doing any action on your smartphone, ensure that you are sure about it, other wise read the information twice even though you have any problem just comment in the below box, if error about this occurs simply stop the process and restart it. Here there’s no requirement of computer but simply you need a memory card of Android device so that you can make Android unlock. —–>The first step you need to do is download the Aroma File Manager for successful operation. For free download click here. —–>Once you have downloaded the file, move the file to the memory card and insert the card to your device. —–>Open the Stock Recovery of your device, there are different ways for different devices to enter into stock recovery but i ensure go along with google and your android device name. Once you got it, enter into stock recovery which is a black interface. —–>After doing that use your volume button to scroll up and down and to select use the middle button. —–>Follow all these simple instructions to get into the software requirement. 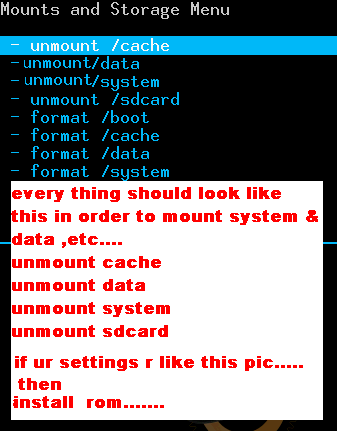 Now Mount and Storage///MountEverything///MountSystem///Mountdata///Mountafs///Mountpreload///MountSDcard///MountExternalSD///go back///Install zip from SDcard///Choose zip from external SDcard. —–>After this find the Aroma file and install it by clicking “Yes Install Aroma File Manager” it will automatically load and recovery mode will be opened. —–>In Aroma file, go to settings and select “Automount all device on start”. After this exit from Aroma. Once again install the Aroma file it will update and opens. —–>Go to Data Folder, then select system folder and find the gesture key, if it is locked with the password then long press the file and select delete. —–>Exit the Aroma and restart the device, once the device is restarted, it will show a pattern on the screen, now you can type any pattern, but remember it will also be the same for password of your device. By following the above method you can simply unlock your device without the password or pattern, but the file downloaded should be moved into your mobile and the process should be done perfectly. If there is any error in following the steps there will be not any problem to your device but the lock does not open and there is no problem with the data stored. You can simply follow the steps perfectly and unlock your device without losing the data. Hope so now you know how to unlock android phone and unlock password. 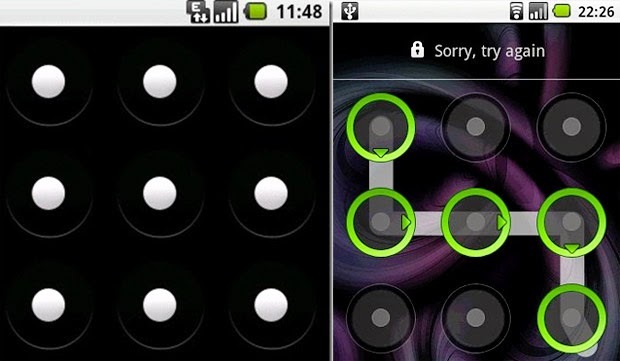 You can use this how to unlock pattern lock in android phone for any device. Even for the used smartphones this trick is applicable, once you apply this you will not lose any data. In a case if the user forgets the pattern then this unlock a device will be very useful as without the pattern the security will not work exactly so better to unlock the device and change the pattern and keep a new pattern so that device ensures the perfect safety. For more information you can watch this video. unlock password protected word document / unlock password protected pdf / unlock password protected excel file / unlock pattern password iphone / unlock password recovery for free / unlock pattern password ideas. Hi Ravi.. Thank you for your useful methods for us… Yes its really good to see the deleted files recovering..
Hi thank you.. keep visiting the site!!!!!!! i hv forgetton the pin password for my samsung note 1 and wants to open it up but without losing watssup data. can u help me with this please…? ?